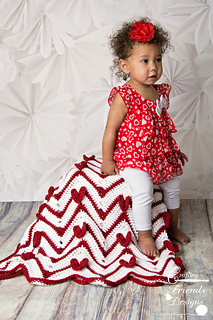 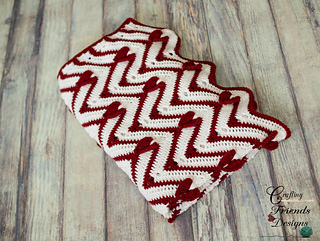 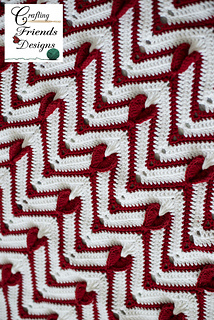 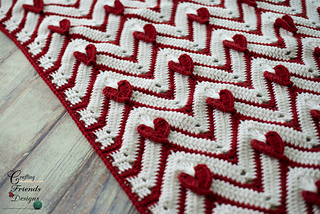 Unique, fun and full of love describe the Heartbeat Chevron Afghan crochet pattern best. 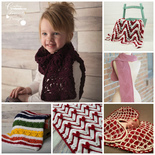 This is such a great pattern to work up in sizes infant to adult. 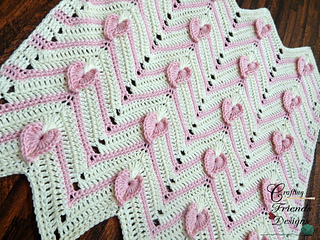 The hearts on this are worked right into the design so you don’t have to worry about stitching on appliques after the blanket section is complete. 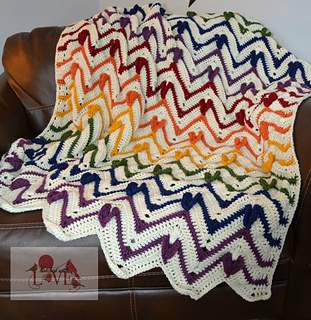 I love being able to fasten off an afghan and wrap right up in it! 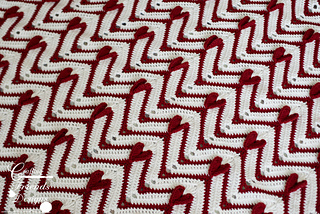 Many stitch placement photos are included to keep the guessing out of the work. 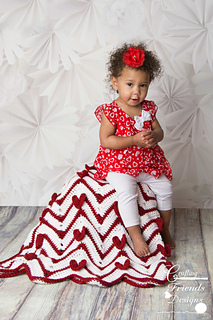 Easily customize to your desired size. 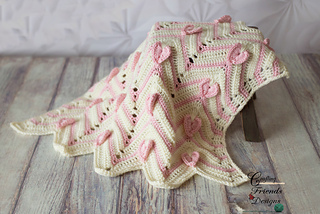 While this design looks best with at least 2 colors, it also looks good in a single or many too.